India’s biofuel policies: Progress or boondoggle? 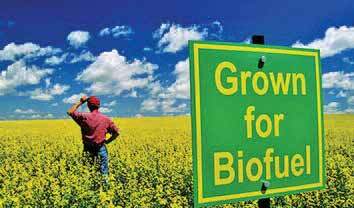 The government of India approved the National Policy on Biofuels on December 24, 2009. The aim of the policy was to supplement transport fuels with an “indicative target to replace 20% of petroleum fuel consumption with biofuels (gasoline with bio-ethanol and diesel with bio-diesel) by 2017”. Today at the brink of 2014, halfway to target the deadline, it is appropriate to assess the relevance and the performance of the policy, say. To start with, the biofuels in India enjoy massive subsidies and funding. Even then, India is nowhere near to achieving its set targets. Currently India’s ethanol production allows blending of only 2.9%. The National Biodiesel Mission that focuses only on the production of biodiesel has not been effective either. The current biodiesel production in India is commercially insignificant, amounting to only 0.01% of blending. If targets are to be achieved, they must be based on reality and not on ambitions.